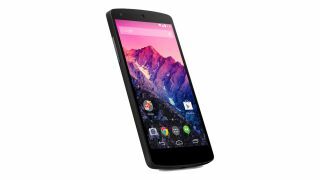 Is Google preparing to launch a bunch of new Nexus 5 colours? A certain video working its way around the internet reckons so. The dodgy home movie shows someone in a dark room, clicking through a number of different colour options for the currently-black-or-white handset: blue, purple, red, green, yellow and orange. We're throwing a lot of doubt on this one. As Phandroid points out, currently changing your colour choice involves a URL change on the Play Store, which isn't happening in the video clip.